This post is part of the Second Annual Hispanic Heritage Month Blog Hop and Giveaway, organized by Multicultural Kid Blogs (see details below). Every September, all over Costa Rica, schoolchildren (and their parents!) work hard making lanterns to celebrate Costa Rican Independence Day on September 15. These homemade lanterns are true works of art, often made in the form of national symbols such as the carreta (wagon), the guaria morada (the national flower, a type of orchid), and the flag. Once their creations are completed, the children carry them in the parades that take place all over the country. This desfile de faroles is an integral part of the independence day celebrations. The lanterns pay homage to the woman in Guatemala who, legend has it, ran through the streets carrying a lantern to gather people to call for independence from Spain. (At the time Costa Rica was a province within the Captaincy General of Guatemala, which included all of Central America, with the exception of Panama). Here is one beautiful example of a farol from La Nación newspaper. The Tico Times has wonderful photos of faroles from last year’s parades on their Facebook page. My husband’s niece was also kind enough to send me photos of her son’s farol this year, as well as one from his classmate. I love this tradition, so I thought it would be fun to make lanterns this year with Monkey. While ours are nothing like the elaborate faroles in Costa Rica, we had a lot of fun making them. After that came the most fun part – painting! It would have been much more patriotic of us to paint them red, white, and blue like the Costa Rican flag, but I let Monkey choose the colors – green for him and pink for me. (You will notice as you read on that only the pink lantern survived until the end. The green one was smashed by aliens partway through, or so Monkey informed me later). After the paint dried, I glued a piece of blue construction paper inside the surviving lantern, to represent the “light” coming through the designs we had punched in the lantern earlier. For effect, I also drew a little candle inside. (I had no intention of letting my three year old play with candles, and besides a toilet paper roll is not big enough to use a candle with anyway). Finally, we glued on the top and handle, which I had cut up from a cereal box earlier. Welcome to the Second Annual Hispanic Heritage Month Blog Hop, hosted this year by Multicultural Kid Blogs and 15 of our member blogs! You can also follow my Pinterest board De Colores: Hispanic Heritage and Latin America. Annual subscription (print and digital) to one of the following children’s magazines (winner’s choice! 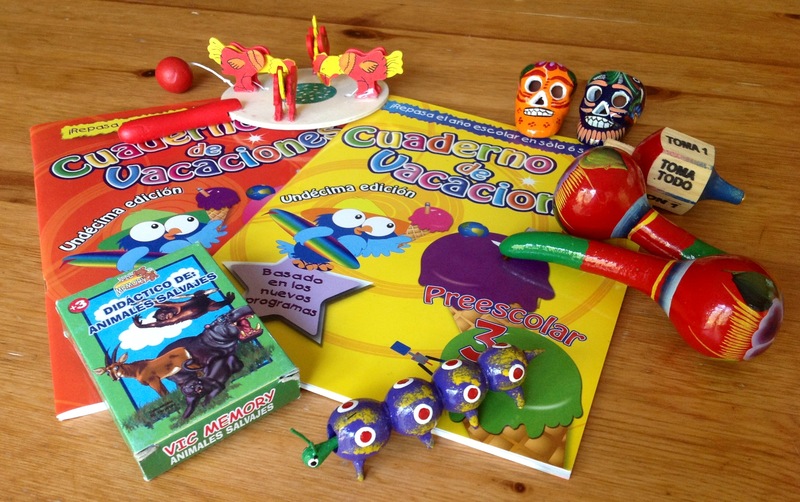 ): Babybug, Ladybug, or Ask en espanol (available at the end of September) or Iguana ($51.90 value). International winners will receive a digital subscription. Annual subscription (print and digital) to a children’s magazine from Cricket. See details above. 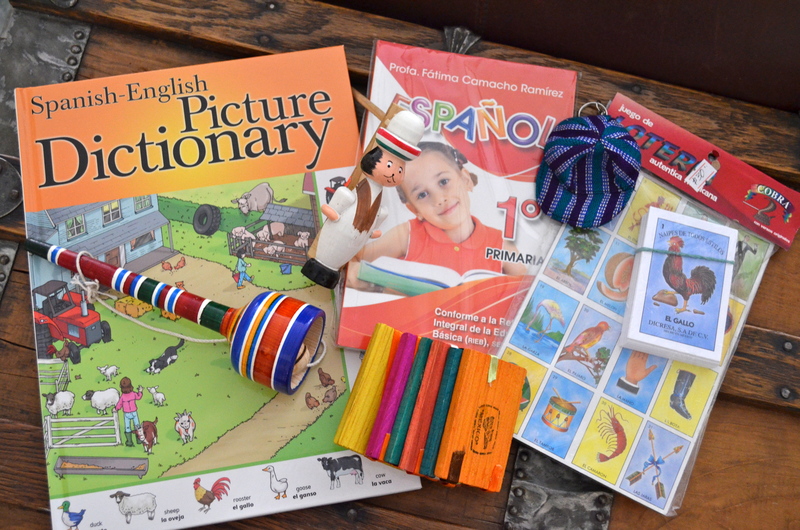 A Spanish-English picture dictionary, a simple workbook in Spanish geared towards 1st graders in Mexico, the classic “lotería” game, plus a couple of small wooden toys, courtesy of Kid World Citizen. Reading kit for one children’s biography highlighting Latina librarian, Pura Belpré, courtesy of Latinas for Latino Lit. 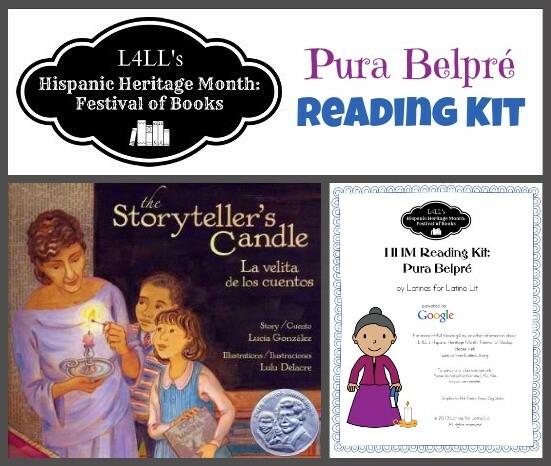 Includes a copy of The Storyteller’s Candle by Lucía González, a 16-page HHM Reading Kit full of book-based activities to promote literacy, with a folder, a pencil and set of colored pencils. Retail value: $15.95 Ships to the US only. What a fun idea! I had never heard of this traditions . . . and how cool to see pictures of actual students’ lanterns from Costa Rica! Thanks, Kali! I need to find some of my pictures from when we were there in previous years, but I was so glad my niece shared these with us. They are pretty amazing lanterns! What a fun craft! Too bad that those pesky aliens smashed the other lantern 🙂 Happy Hispanic Heritage Month! I so love lanterns, and learning about the various festivals they are related to. The faroles are fantastic! Thanks for hosting the link up – am having fun checking out the posts! Thank you, Marie! Yes, you have done a lot of beautiful lanterns! Thanks for visiting, we are really enjoying seeing everyone’s posts. I loved reading this post and your lanterns turned out adorable. Thank you for sharing this tradition! Thank you! It is such a great tradition and fun to see the kids parade around with their lanterns.